If you could take a pill in the morning that could boost your brain power all day, would you do it? Many people are turning to Neuro Peak by Zhou Nutrition and other nootropic supplements as a way to give their brain a little boost and achieve mental clarity. But before you buy any nootropic supplements, like Neuro Peak, you should always do your research to make sure you aren’t wasting your money. Luckily, we’ve done all the research for you, all you have to do is keep reading. Neuro Peak keeps things pretty simple, while still delivering a high quality supplement. Specific ingredients, such as Bacopa Monnieri extract, phosphatidylserine, and Ginkgo Biloba were chosen for their brain boosting abilities. Bacopa Monnieri is known for relieving stress, improving memory and learning abilities, making it easier to remember things you have learned and later recall them. Ginkgo Biloba is an ancient compound that has been used practically forever as a way to improve brain function, relieve stress, and deliver powerful antioxidants to your body. Relieving stress is important, and a primary benefit of Neuro Peak, because it can help improve mental clarity, mood, and focus. Neuro Peak contains a few very effective ingredients, but what gives this supplement even more power is the boost of Vitamin B12 that’s in every serving. B12 is essential to your body’s health, as it helps keep nerve and blood cells healthy and make DNA. 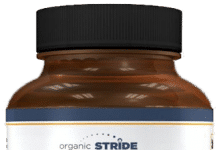 The boost of Vitamin B12 in every dose is well above what you’re supposed to get daily, so you can take this and not have to worry about getting enough B12 all day, and it can also bolster the effects of the other ingredients. What’s unique about Neuro Peak is how good it is at relieving stress. While bacopa and ginkgo are okay at relieving stress, the real stress reliever in Neuro Peak is the Rhodiola Rosea extract. Rhodiola works to energize your mind, relieve stress, and improve your mood. Neuro Peak is versatile enough to be used by practically anyone, whether you’re trying to pull your grade up in class, do better at a video game, or be more productive at work. In addition to all of the brain benefits Neuro Peak has to offer, it’s also very affordable, costing less than a dollar per serving. This is just the finishing touch on an already great supplement, it is definitely one I recommend.